change. Please refer to the www.mydlink.com website for the most current information. countries. All other company or product names mentioned herein are trademarks or registered trademarks of their respective companies. 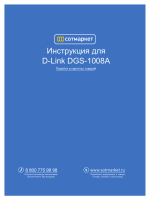 Copyright В© 2012 D-Link Corporation. All rights reserved. This publication may not be reproduced, in whole or in part, without prior expressed written permission from D-Link Corporation. product will cause damage and void the warranty for this product. A MicroSD memory card (optional) is required to record streaming video. 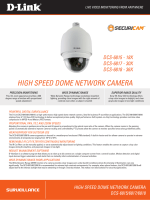 SDHC Class 6 or above is recommended. for Internet Explorer and Java mode for other browsers such as FirefoxВ® and SafariВ®. applications because of its standards-based features. Internet. This means you can access your DCS-2132L anytime, anywhere in the world. of homes, offices, banks, hospitals, child-care centers, and amusement parks. up to 32 cameras on one screen, and taking snapshots. The built-in infrared LEDs enables night time viewing of up to 16 feet (5 meters). ceiling can reduce your adapterвЂ™s range from 3-90 feet (1-30 meters). a wall or ceiling (instead of at an angle) for better reception. glass, steel, metal, walls with insulation, water (fish tanks), mirrors, file cabinets, brick, and concrete will degrade your wireless signal. 4. Keep your product at least 3-6 feet or 1-2 meters away from electrical devices or appliances that generate RF noise. a signal even if the phone in not in use. camera by simply plugging it in and connecting it to your router. mydlink.com website to manage and monitor your DCS-2132L. panel of the DCS-2132L and connect it to your wall outlet or power strip. Ethernet port located on the back of the DCS-2132L and connect it to your router. camera to easily create a secure wireless connection to your network. status LED above the button will blink. router, please refer to your routerвЂ™s User Manual. The DCS-2132L will automatically create a wireless connection to your router. complete, the status LED will turn solid. router's wireless settings will be automatically transferred to the camera. into your account. Once mydlink detects your camera, a New Device Found! notice will appear in the bottom-left corner. Click on the device name to continue. mydlink account. You can now view your camera on the mydlink Live View tab. no further configuration is required. advanced configuration of your camera. Insert the Installation CD-ROM into your computerвЂ™s optical drive to start the autorun program. which will guide you through the installation process from connecting your hardware to configuring your camera. and click on Start to continue. the panel at the rear of the DCS-2132L and attach it to the network. Connect the other end of the same Ethernet cable to a router. successfully connects to your network. Click Next to proceed. I do if the LED stays red?" link for more information. can identify them by the MAC ID printed on the label on the back of your camera. Restart to restart the wizard. wireless network, select the appropriate option then follow the steps displayed. Otherwise, click Next to continue. select the I accept mydlink terms and conditions box, and click the Next button. Confirm your camera login details and IP address details and click Done. explore the exciting benefits available to you. If you wish to set up your camera without using the Camera Setup Wizard, please follow these steps. Note: In order to use the mydlink features of this product, you will need to go through the Camera Setup Wizard. A green checkmark indicates that your camera is online and ready to use. A red X indicates that your camera is offline and currently cannot be accessed remotely. вЂў Check to make sure that the Internet connection to your camera is working properly. вЂў Try restarting your Internet router. вЂў Check your cameraвЂ™s cable connections and make sure they are secure. вЂў Check to make sure that the LED on your camera is lit solid green. QVGA resolution (320x240) if viewing your camera from a PC on a remote network. then choose from the recordings available for playback. Camera Name: Click on the Edit button to change how the camera name appears. mydlink No: This is the unique mydlink number for your device. Model name: This shows the model name of the camera. MAC: The shows the Media Access Control (MAC) address of the camera. Camera Activated on: The date the camera was registered to the mydlink service. Event Notification Email notification of events can be switched on or off. Recording Settings: Each of the recording settings will open a further menu. when motion is is detected. will trigger automatic recording when motion is detected. Email Notification: Toggles notification by email on or off. Show password: Checking this box will show the password. current page of event notifications as read. create a password, the default password is blank. After entering your password, click OK.
language using the drop-down menu on the left side of the screen. You can zoom in and out on the live video image using your mouse. Right-click to zoom out or left-click to zoom in on the image. inserted, this screen will display the message "Card Invalid." This indicator will change color when a trigger event occurs. Starts the camera's motion along the predefined path. red box indicates the visible region of interest (ROI). Language: You may select the interface language using this menu. 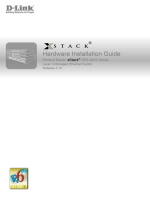 Camera and skip to "Network Setup" on page 44. Manual Motion Detection Setup and skip to"Motion Detection" on page 55. Camera and connect the camera to the internet. Click Next to continue. Note: Select DHCP if you are unsure of which settings to choose. information and click Next to continue. otherwise click Next to continue. automatically, Select Enable DDNS and enter your host information. Click Next to continue. Enter a name for your camera and click Next to continue. and adjust the cameraвЂ™s ability to detect movement. about how to configure motion detection. day and hours. You may also choose to always record whenever motion is detected. may choose not to receive notifications, or to receive notifications via e-mail or FTP. Please enter the relevant information for your e-mail or FTP account. You have completed the Motion Detection Wizard. Please verify your settings and click Apply to save them. Please wait a few moments while the camera saves your settings and restarts. changes, click the Save Settings button to save your changes. to your camera in the future. IP Address: Enter the fixed IP address in this field. the same subnet. The default value is 255.255.255.0.
failure of transmissions to a different subnet. Secondary DNS: The secondary DNS acts as a backup to the primary DNS. 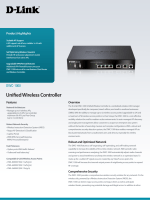 configured as a UPnP device on your network. Enable PPPoE: Enable this setting if your network uses PPPoE. HTTP Port: The default port number is 80.
represents the ip address of your camera. will override the QoS settings of the camera. Enable IPV6: Enable the IPV6 setting to use the IPV6 protocol. optional router and an optional primary DNS. you wish to use if you do not want to use the defaults. Encryption) will be automatically filled in for you. is normally used to connect to an access point or router. wireless network you wish to connect to, or select Auto. network - Open, Shared, WPA-PSK, or WPA2-PSK. authentication, WEP encryption should be the setting. DDNS (Dynamic Domain Name Server) will hold a DNS host name and synchronize the public IP address of the modem when it has been modified. Enable DDNS: Select this checkbox to enable the DDNS function. menu or enter the server address manually. Host Name: Enter the host name of the DDNS server. Timeout: Enter the DNS timeout values you wish to use. In this section, you may configure the video image settings for your camera. A preview of the image will be shown in Live Video. excluded from recordings and snapshots. Reset All: Clears all mask areas. Anti Flicker: If the video flickers, try enabling this setting. Mirror: This will mirror the image horizontally. you may want to consider turning Mirror on as well. environments, or to Moving to capture moving objects. to apply to brighten the picture. will be applied to the picture. Brightness: Adjust this setting to compensate for backlit subjects. Contrast: Adjust this setting to alter the color intensity/strength. sharpening to apply to the image. Video size, you can use the ePTZ controls to look around. size, you will not be able to use the ePTZ function. Audio in off: Selecting this checkbox will mute incoming audio. incoming audio to increase its volume. Audio out off: Selecting this checkbox will mute outgoing audio. outgoing audio to increase its volume. sequences, which will automatically change the camera's view between the different presets according to a defined order and timing you can set. Note: If your View window area is the same as your Frame size, you will not be able to use the ePTZ function. Video Profile: This selects which video profile to use. and 64 is the fastest. a set of preset views. selected preset from the sequence. monitoring. After making any changes, click the Save Settings button to save your changes. enter a value between 0 and 100.
in the window (indicated by the red square). square that you wish to remove. Time Zone: Select your time zone from the drop-down menu. Enable Daylight Saving: Select this to enable Daylight Saving Time. Saving date and time manually. is closest to your location. Set the Date and Time Manually: This option allows you to set the time and date manually. Copy Your Computer's Time This will synchronize the time information from your PC. performed when a trigger is activated. The Event Setup page includes 4 different sections. to update the fields accordingly. 2. To delete the selected item from the pull-down menu of event, server or media, click Delete. 3. Click on the item name to pop up a window for modifying. Server Name: Enter the unique name of your server. FTP: Enter the configuration for the target FTP server account. SD Card: Use the camera's onboard SD card storage. Media Name: Enter a unique name for media type you want to create. Snapshot: Select this option to set the media type to snapshots. more information on video profiles. File name prefix: The prefix name will be added on the file name. Add date and time suffix to file Check it to add timing information as file name suffix. Video clip: Select this option to set the media type to video clips. Maximum file size: Set the maximum file size to record for your video clips. System log: Select this option to set the media type to system logs. will not record any snapshots or video. Event name: Enter a name for the event. Enable this event: Select this box to activate this event. priority will be executed first. Trigger: Specify the input type that triggers the event. the windows that need to be monitored. interval unit is in minutes. Digital input: The external trigger input to the camera. System Boot: Triggers an event when the system boots up. Network Lost: Triggers an event when the network connection is lost. moving infrared objects even in dark environment. Time: Select Always or enter the time interval. of seconds when an event occurs. Recording entry name: The unique name of the entry. Enable this recording: Select this to enable the recording function. priority value will be executed first. Source: The source of the stream. Recording schedule: Scheduling the recording entry. Recording settings: Configuring the setting for the recording. Destination: Select the folder where the recording file will be stored. not save other files in the same folder as recording files. Here you may browse and manage the recorded files which are stored on the SD card. create "picture" & "video" folders. folder and choose the video file you would like to view. Refresh: Reloads the file and folder information from the SD card. the Save Settings button to save your changes. triggered when the device status changes to "Open." triggered when the device status changes to "Closed." Day Mode: Day mode enables the IR Cut Filter. Night Mode: Night mode disables the IR Cut Filter. Night mode at the ending time. additional controls depending on your specific application. Off: The IR light will always be off. On: The IR light will always be on. Sync: The IR light will turn on when the ICR sensor is on. Enable HTTPS Secure Connection: Enable the HTTPS service. Status: Displays the status of the certificate. uncheck Enable HTTPS secure connection. Here you can set access permissions for users to view your DCS-2132L. that have permission to access the video of the camera. Click Add to save the changes made. Delete allow list: Remove the customized setting from the Allow List. Delete deny list: Remove the customized setting from the Delete List. You may modify the name and administratorвЂ™s password of your camera, as well as add and manage the user accounts for accessing the camera. You may also use this section to create a unique name and configure the OSD settings for your camera. Admin Password Setting: Set a new password for the administratorвЂ™s account. Add User Account: Add new user account. User Name: The user name for the new account. Password: The password for the new account. want to reserve at least one as a guest account. OSD when it is enabled. In this section, you may backup, restore and reset the camera configuration, or reboot the camera. settings by clicking Restore Factory Defaults. Reboot Device: This will restart your camera. Current Firmware Version: Displays the detected firmware version. Current Product Name: Displays the camera model name. Upload: Uploads the new firmware to your camera. This page displays detailed information about your device and network connection. 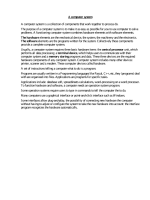 This page provides helpful information regarding camera operation. against voltage transients. Max loading is 100 mA. A switch from DI to DC 5 V, activated by setting NO. or NC. radio frequency energy and, if not installed and used in accordance with the instructions, may cause harmful interference to radio communication. to match the intended destination. The firmware setting is not accessible by the end user. operated with minimum distance 20cm between the radiator & your body. regulations of Industry Canada. The required antenna impedance is 50 ohms.